For green procurement and renewable energy sources, many consumers usually think of solar photovoltaic (PV) panels or wind generator systems. 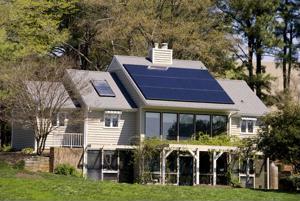 However, a new power source emerging in the United States hopes to compete with wind and solar PV: solar thermal. The Solar Energy Industries Association (SEIA) aims to generate 100 MW of solar thermal power in the United States by 2025, according to Sustainable Business. This type of renewable energy currently powers 9 gigawatts in the United States, which is 1 GW less than solar PV, and consumers could start using solar thermal to reduce heating and cooling costs for buildings, SEIA said. Solar thermal could replace demand for natural gas, oil and propane in order to efficiently heat or cool residential buildings and commercial spaces. Used for renewable heating and cooling technologies, thermal energy can be produced from a variety of renewable sources, including solar, biomass and geothermal. On its current pace of installations at 30,000 systems per year worth $435 million in annual revenue, the U.S. is poised for 75 GW of solar thermal by 2050, according to the SEIA. But the solar group hopes to quadruple this number and have 300 MW by 2050, which would amount to about 100 million installations. If the U.S. achieves this goal, solar thermal has the potential to meet 8 percent of consumer heating and cooling demand in the U.S. To do this, SEIA has created a roadmap that outlines policies needed to meet this target. "Part of our challenge is to do a better job of educating policymakers - at both the state and federal level - about the enormous benefits solar heating and cooling provides to American consumers and businesses, as well as to the U.S. economy," said CEO of SEIA Rhone Resch. SEIA suggests that the federal government provide financial incentives such as tax credits and rebate and grant programs while reducing the costs of Renewable Energy Credits (REC) to stimulate business activity. It also said consumer awareness campaigns as well as research and development can help support SEIA's goals. "Solar energy is widely supported in the U.S., with both Republicans and Democrats favoring solar above all other forms of energy," Resch said. "Sustained and smart investments in SHC will facilitate a unified transition to clean and low-cost heating and cooling solutions for the United States."